At one time or the other, every wine lover faces the dilemma of wondering what to bring to a special dinner party; this is especially true if you are the only wine expert in the room. You wonder whether you should give something basic like a Sauvignon or Cabernet or something more elaborate like a Bordeaux blend. In the example just mentioned above, one of the main reasons why guests would reach for the magnum bottle is that it definitely looks more impressive than a bottle of Bordeaux, especially to the uninitiated wine drinker. A magnum bottle is an excellent choice for a gift at a party setting; this is because these bottles are festive and generous; aside from this, they are quite helpful as well.When you gift a magnum bottle or two of simple sparkling wine, it takes the pressure off of the hosts; this wine will appeal to a larger number of guests and it will be plentiful as well. The standard bottle is more suitable for intimate settings, where there are just 2-4 people at the table. A standard size wine bottle is best suited as a standalone gift that can be given to the host, at the end of the party. Not every host will open up the bottles that have been gifted to them at the party. Many other guests will likely have brought along their own bottles; and the host will often have elaborate drink arrangements made for their party in advance. This is why it’s a good idea to gift the host a bottle that has a small note – “for your cellar” written on it. If you are gifting wine as a wedding present, its best to go big or forget it altogether. Weddings generally call for luxury wine gifts like an elegant Krug or something similar. It’s also a good idea to pair the fine wine gift with something that’s a little more permanent like a good quality wine rack or wine cooler. One of the commonest mistakes that wine collectors make when gifting wines, is that they underestimate their friends’ tastes in wine. 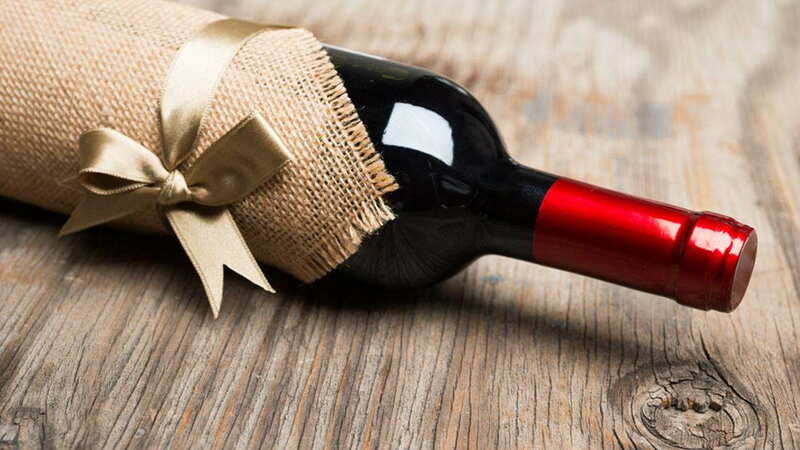 For instance if you are gifting a bottle to a wine enthusiast or collector, they can be offended if you gift them an inexpensive or basic wine. If you gift a wine expert a sub-par wine, that can make them feel you aren’t treating them as a peer who has good taste. The one way to avoid this faux pas is to consider which wines your friends enjoy drinking and if possible, gift those or improve upon them. For example, if your friend enjoys jammy, inexpensive wines, look for fine wines with similar flavours. There could be times when a friend may have impeccable taste in wines, but comes from modest means and can’t afford to purchase premium wines regularly. Don’t embellish the bottle with elaborate presentation. You don’t need to tie more than a simple ribbon to the neck of the bottle; and for most occasions, it works just fine.